A couple of weeks back, we featured a unique Japanese small home that packs a punch. Today, we found another interesting work of architecture located in Yokohama, Japan. 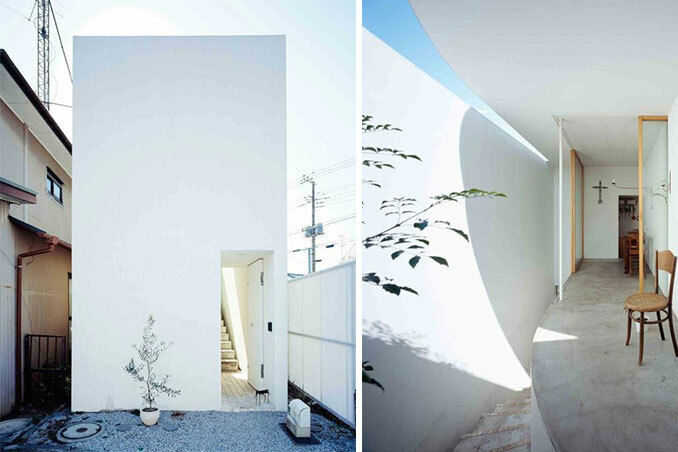 Dubbed as "The Love House" by the Takeshi Hosaka Architects, this home is reminiscent of a box—with a curved staircase welcoming guests into the space. Source and Photos: Apartment Therapy via Yellowtrace.